Be one of the first to get a great new sound on you next recording! The Aluphone is now well known all over the world and becomming a standard instrument in the percussion instrumentarium. At the Opening Ceremony of the Olympic Games in London, Dame Evelyn Glennie was playing the Aluphone at the very point when the torch was lit. The Aluphone is a great new tuned mallet instrument and can give you an great new sound. It can be used as a new sound color or as a substitute for gamelan, crotales, tubular bells, vibraphone and bells. 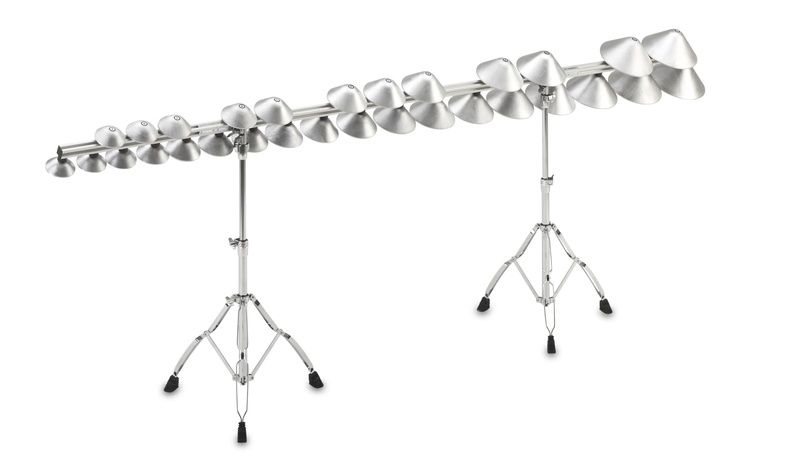 Aluphone has a great dynamic range and the sound can vary a lot, depending on the hardness of the mallets you are using. You can use anything from very soft to very hard, and with a bow you almost get the sound of glass.